I’ve had my share of bad things to say about Eddie Hearn’s matchmaking on this blog but to his credit he does come up trumps sometimes. Later this year Hearn wants a heavyweight Prize Fighter in Belfast, with Paul McCloskey fighting Michael Katsidis as the main event. Heavyweights and Michael Katsidis on the same bill, what's not to like? Katsidis - McCloskey could happen. McCloskey seems up for any challenge, but right now he can’t buy himself a title fight and Michael Katsidis' situation isn't much better. You know that saying “Beggars can’t be choosers”? Katsidis fits this scenario perfectly; he has lost three of his last four fights and if he wants to be a world champion again he can’t waste chances like this. Katsidis will be the underdog because in his last five fights he has lost three - to Burns, Guerrero and Marquez - and all of them showed there are blueprints available to to beat him; Marquez beat him with combinations, Guerrero with a jab and power punches, and Burns with movement. Don't underestimate him though, because Katsidis needs to win this fight. You don't want to get in the ring with Katsidis when he has a real need to get you out of there; he can punch harder than anyone in the lightweight division. He is a dangerous fight for a McCloskey, who only just scraped through his last match with Breidis Prescott. It shouldn't come as a surprise that Martin Rogan is the first name linked to the heavyweight Prize Fighter tournament. This will be his second time in the contest - in 2008 Rogan became the first ever Prize Fighter winner and briefly launched his career onto better things. Lately it has stagnated, though Rogan takes most of the blame. He turned down an offer to face Tyson Fury last year, giving a cheap purse as the reason. Every fighter has the right to put a value on his own body, but do you really think Rogan will get a better offer than whatever Mick Hennessey was prepared to pay? Looking at where Rogan is now (nowhere) he could do with another Prize Fighter win. Hearn will be looking to blow the gate by including a fighter based in Ireland like Mike Perez, a prospect such as Richard Towers and maybe even a "big name" like Audley Harrison. I hope he isn't within a hundred miles of the tournament but Audley still has name value, especially if you're a fan of Strictly Come Dancing. 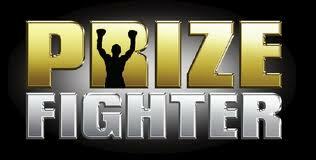 The Prize Fighter brand is starting to take off, with the latest edition of the tournament raking in its highest ever viewing figures, and another heavyweight addition would be welcome. As long as they get decent fighters the contest will deliver and if McCloskey and Katsidis round off the night then Hearn has done a great job.